I absolutely LOVE Asian dishes so anytime I see a recipe with those flavors I have to order it. 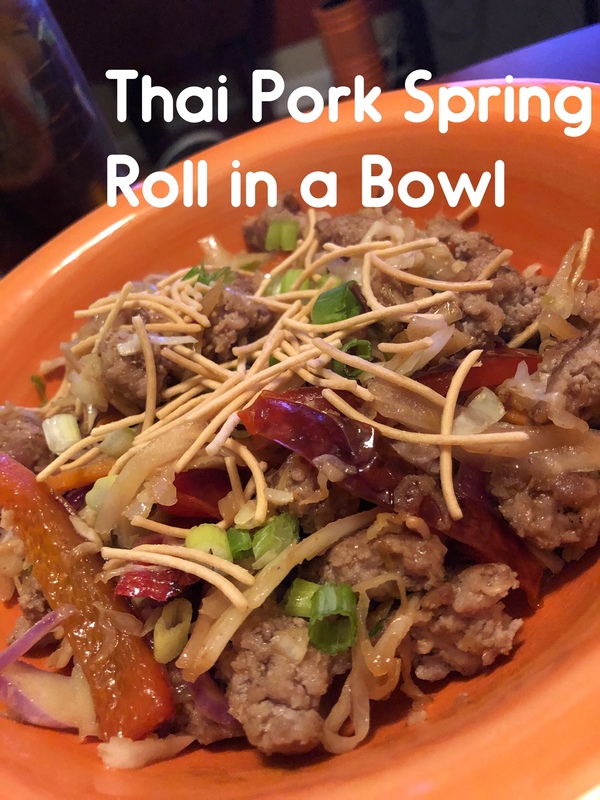 This dish was packed full of flavor and so quick to make. I would definitely order it again. 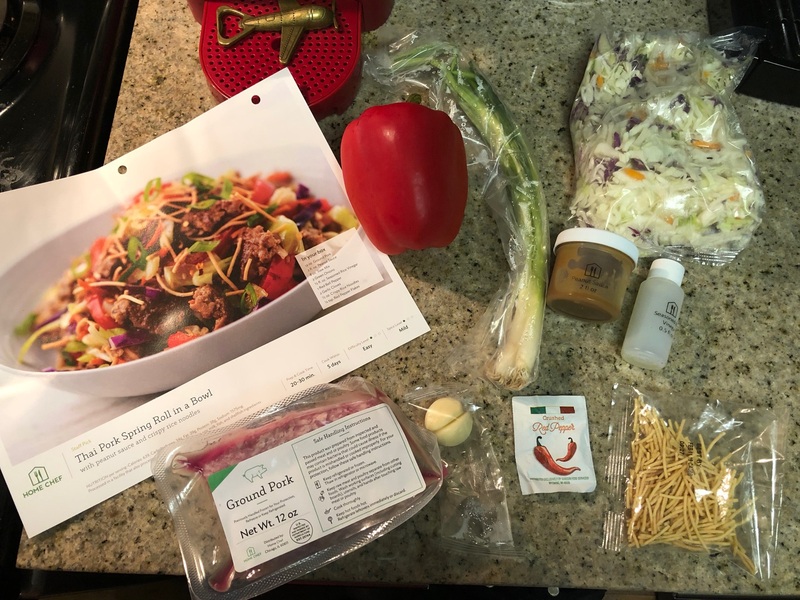 If you would like to try Home Chef you can click on the link below to get $30 off your first box! Stem red bell pepper, remove ribs, and slice into thin strips. Trim and thinly slice green onions. Mince garlic. 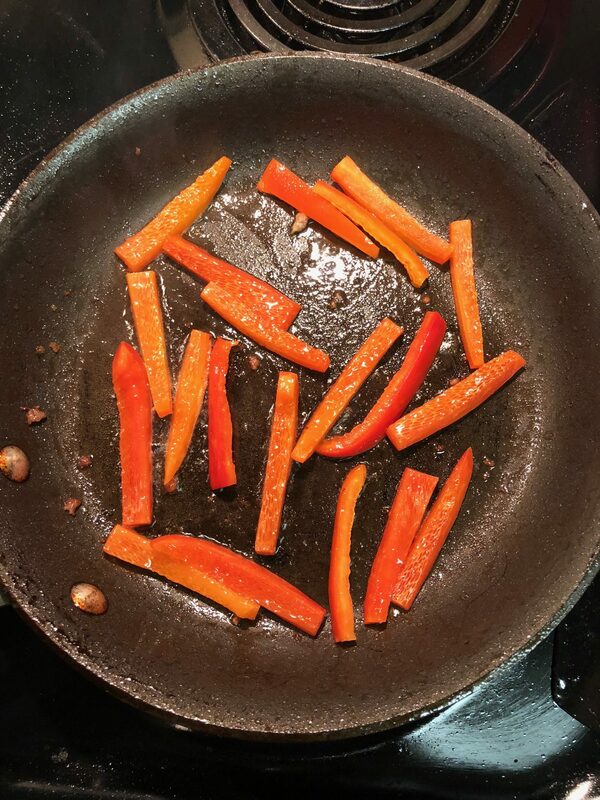 Place large non-stick pan over high heat. Add 2 tsp. 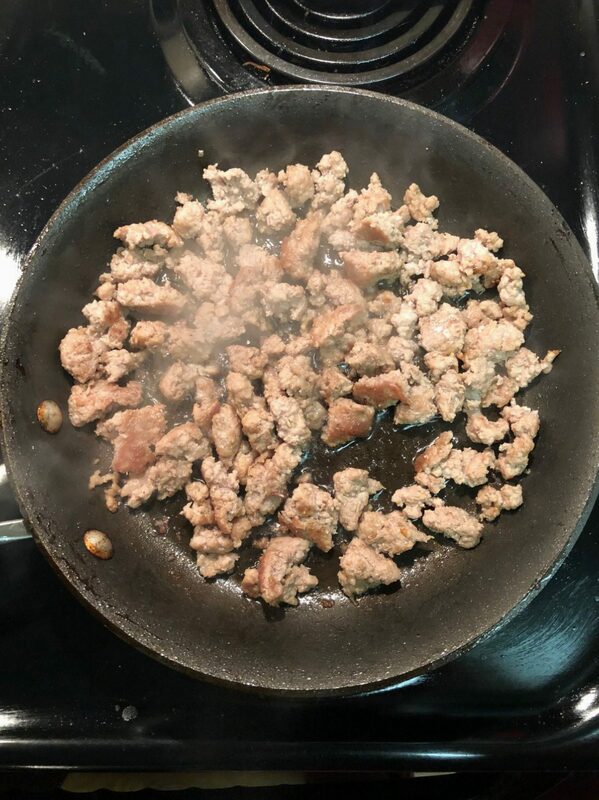 olive oil, ground pork, 1/4 tsp. salt and a pinch of pepper to the pan. Cook, breaking up with a spoon, until no pink remains, about 5-7 minutes. Transfer pork to a plate. Keep pan over high heat. Add red bell pepper, 2 tsp. olive oil, and 1/4 tsp. salt to hot pan. Stir occasionally for 3-5 minutes. 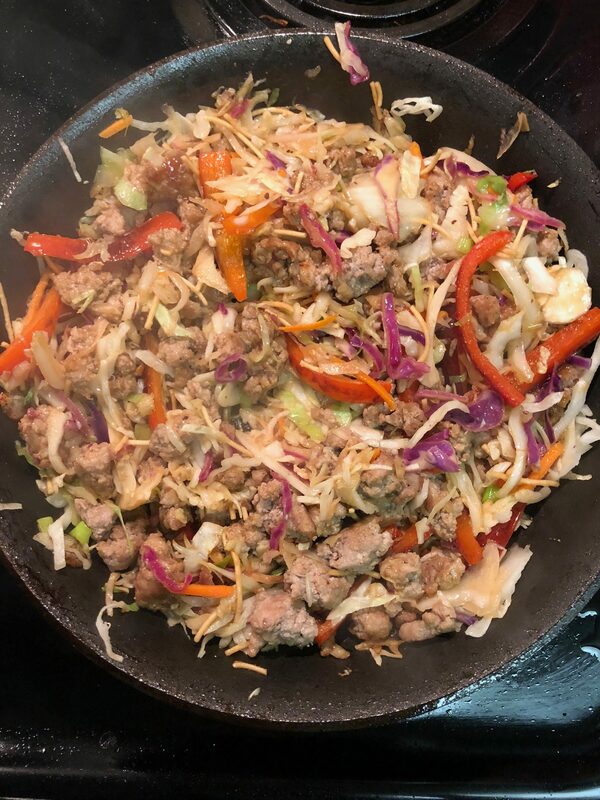 Add slaw mix, pork, peanut sauce, green onion (reserve a bit for garnish), garlic, seasoned rice vinegar, and half the crispy rice noodles (reserve the rest for garnish) to pan. Stir until combined and heated through, 1-2 minutes. Plate mixture and garnish with remaining crispy noodles, remaining green onions, & red pepper flakes (to taste). Enjoy!